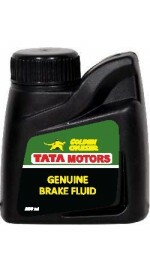 Attention : This product is factory prepared to the Tata recommended concentration. Do not dilute further with water or any other liquid. Do not touch with hand as it is poisonous. Remove the used radiator liquid from the vehicle and clean the radiator interior. 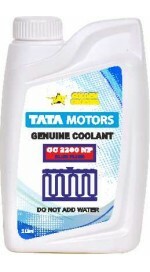 Install GC 2200 NP Ready to Use coolant directly into radiator till full. Pour into expansion bottle till between the marks. Ingredients : Polyalklene Glycol and Glycol ethers along with anti-corrosion and anti-rust agents. Store only in original container. Being a hygroscopic fluid, on ingression of moisture, its vapourlock will increase and boiling will decrease which will make braking less effective. Caution : DO NOT REFILL OR REUSE CONTAINER. KEEP OUT OF REACH OF CHIDHREN.